It’s the quintessential summer experience: a summer evening at the ballpark. 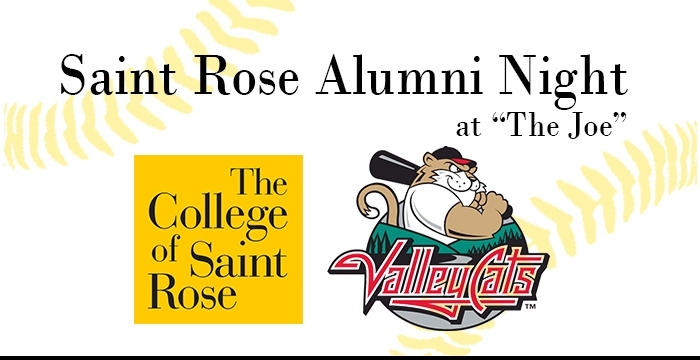 Saint Rose Alumni are invited to a night at “The Joe” to watch the Auburn Doubledays @ Tri-City ValleyCats game on Friday, August 14. Before the game, enjoy an all-you-can-eat picnic buffet as well as special Oktoberfest selections. Each ticket includes the buffet, reserved seat, and a ValleyCats hat to help you root on the home team! August 14 isn’t far away- – Tickets are on sale now!